New Dance Classes to be offered by Trivical Performance Academy, Cheltenham with 3 fully equipped dance studios (one complete with stage & lighting), offers classes for all ages and standards in Hip Hop, Jazz, Technique, Singing, Tap & Drum Lessons. TRIVICAL was born from the passion and dance experience of Leanne Le Page and our dance classes remain our core business to this day. We offer a new variety of classes to satisfy the demands of our clients. Trivical now offer some great dance/fitness classes for adults. These classes all offer something different to help you get moving and grooving. These classes also help with general fitness, toning, core & body srtength. A combination of Singing, Dancing and Drama. A great way to develop confidence and the ability to perform in front of a crowd. Suitable for Boys & Girls. NEW CLASS SO TAKING NAMES & INTEREST. » Grade 2 - 4- Thursday 4pm - 5pm. Trivical now offer a wide range of private lessons. These classes can be used to help get knowledge to join a new class, work on routines to go in a competition, learn a routine for some fun or anything you would like to do.....privates are tailored around you! 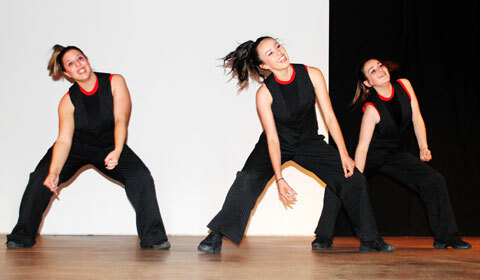 Regular classes in any dance style are the best way to improve as well as develop skills & confidence. Students come into the studio at least once a week, learn funky dance moves, go home and practise and return the following week to show off what they�ve achieved at home. Doing this over a term (normally the same dates as your child�s primary/secondary school dates) students feel a real sense of achievement as they build on steps each week and ultimately perform what they have learnt to other groups at a �Show & Tell� session held on the last lesson of most terms.